I’ve been away for far too long and this has been on my mind forever. I am so pissed off at BP that words cannot begin to express it. I watched the 60 Minutes interview with one of the survivors from the BP oil rig. He stated BP knew in advance that the drilling was dangerous and unsafe. I wasn’t able to see all of President Obama’s speech last night but I know he wants BP to set up some type of fund to help with clean up and the local economy. With that being said let me tell you what I want from British Petroleum. I recall that Exxon was fined 500,000,000 dollars. 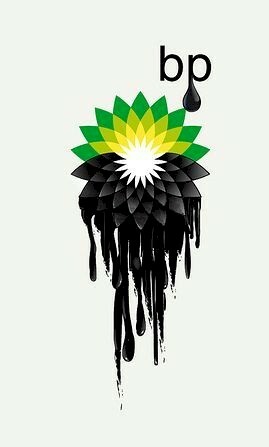 I think BP’s fine should far outweigh Exxon’s fine and they should be forced to pay it. BP’s fine should include weekly paychecks for any and everyone who’s livelihood depends upon working in the Gulf of Mexico. This includes fishermen, restaurants employees, oil rig workers and more. BP should have to clean every inch of every mile of beach and also every drop of water in the gulf touched by the leaking oil. Any resources our government has already used should be reimbursed. You know, I could go on listing all that I want, but basically what I want is the gulf returned to normal. I want people’s financial lives put back in order from Texas to Florida. I want half of BP’s profits for the next ten years to go into a fund to help the United States get out solar and wind power initiative off the drawing boards and into action. I want this to never happen again. That is all. You are currently browsing the archives for the Financial Restitution category.